Valentine’s Day is just a few days away and we are TOTALLY ready! We have our class Valentine’s made, our classroom party supplies ready, and our front door is adorned with a little love (as you might have seen here on Instagram). It was only natural for us to make a Valentine’s Day pizza today. It can actually be a snack or meal both depending on when you eat it and how many people you plan to serve. For us, it was an afternoon snack for 4. It only took 10 minutes to make and turned out so cute! Look at how we made it. So easy and so fun! 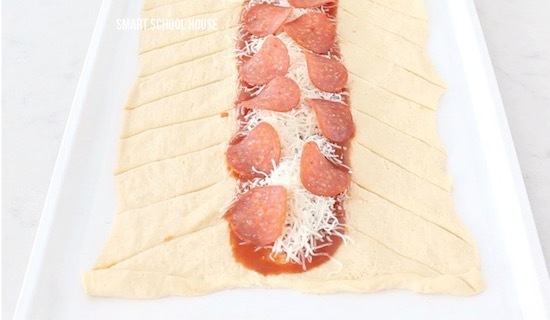 Kids are really good at helping make this pepperoni pizza. 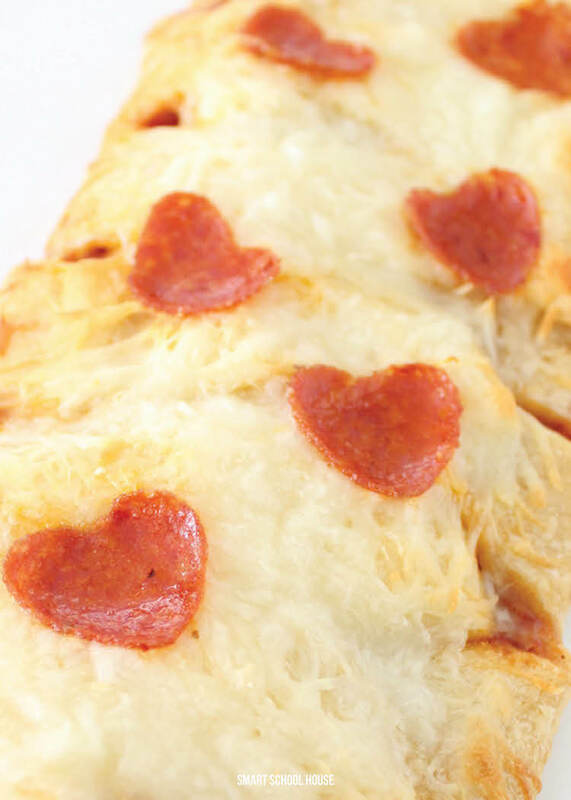 Older kids like to slice the bread, smaller kids like to make the heart shaped pepperoni. There’s just something so fun about braiding the Pillsbury dough. Make it as full or as thin crust as you prefer. Add veggies, sausage, or extra cheese inside! 1. 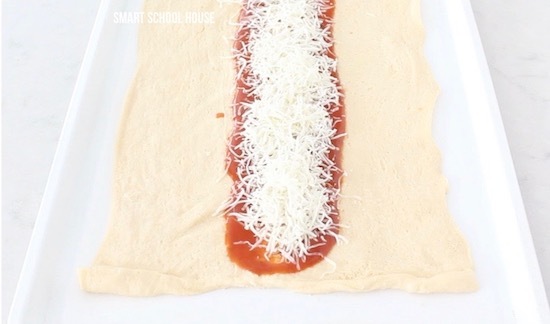 Place the dough sheet on a baking pan. 5. 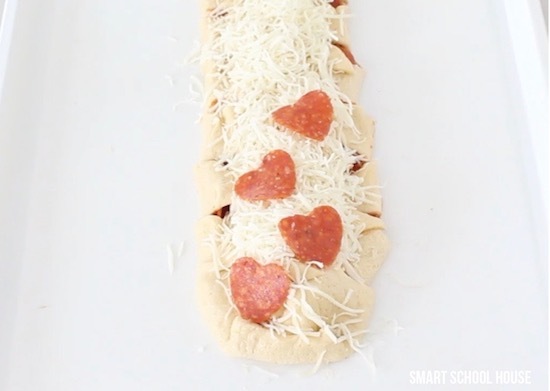 Using a small heart shaped cookie cutter, make heart shaped pepperoni pieces. 7. Bake at 350 degrees for 18-20 minutes. Isn’t that a fun recipe idea for Valentine’s Day?